The pop-up cup that stands proud in a crowd. 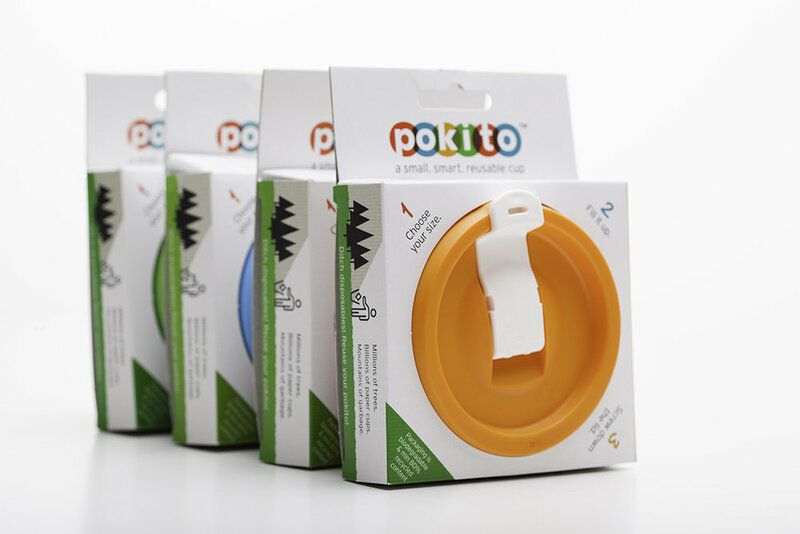 Ergonomic, insulated and lightweight Pokito is comfy in the hand. A grooved, non-slip band provides an easy grip that is never too hot. Available in a range of 6 vivid colours, Pokito combines functional sustainability with style and elegance. Produced in the UK, Pokito weighs only 110g, when fully open and holds a 'grande' 475ml. Users can collapse half way to a 'medio' 350ml or to 230ml espresso size. When closed, it is 4.5cm for ultra-portability and convenience.